The North Reformed Church is located at 510 Broad Street between the former Mutual Benefit Life building and an office building currently occupied by the Newark Housing Authority. 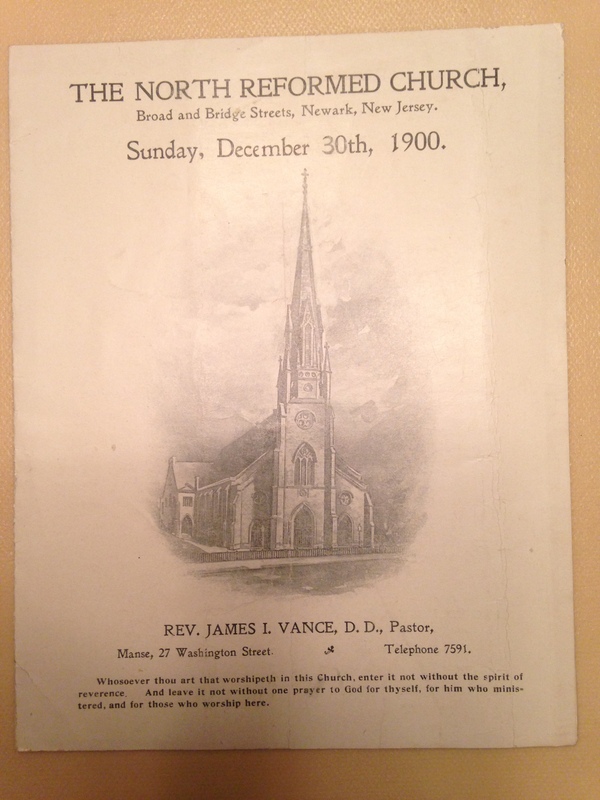 The congregation was founded in 1856 and the church was constructed in 1857. Many important Newark families worshipped there. Among those distinguished Newarker’s were the Frelinghuysens, the Ballantines and the Polhemus’. Some may recall that the Polhemus House was recently demolished and replaced by a garden at the corner Central Avenue and Washington Street.